The MTM team is comprised of Raymond & Naomi Burkholder (Director), Merle & Judy Flory (Assistant Director) and Josh Slabaugh. 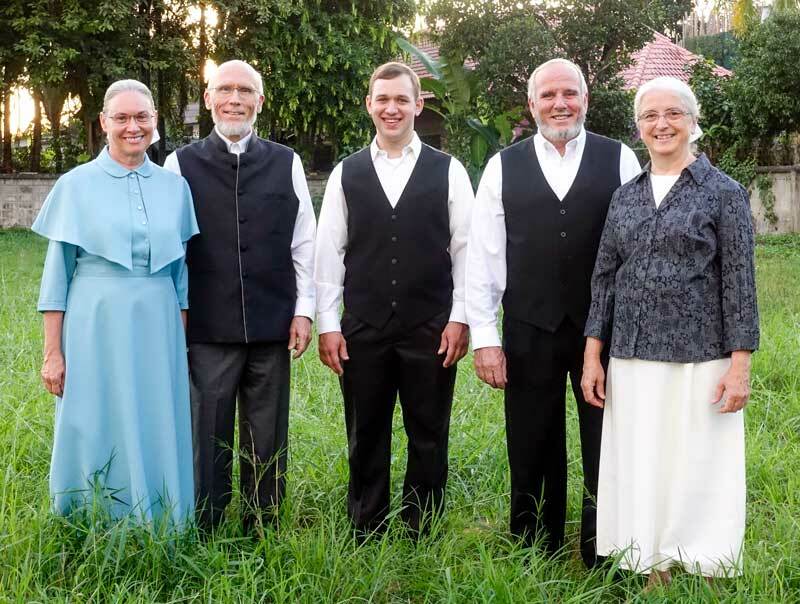 Merle & Judy Flory joined MTM October 2013 and they are presently living in Chiang Mai, Thailand serving as the MTM assistant director. Merle & Judy come from Ellensburg, Washington USA. Merle & Judy are leading ministry teaching teams as MTM travels to different countries conducting pastoral leadership conferences. Merle also serves occasionally as a teacher at the IGo Bible Institute. Josh Slabaugh recently joined the MTM team after completing the IGo program and and doing an internship with MTM. He manages the MTM website, keeping it up to date with the latest reports and schedule. He also travels with MTM to some of the conferences. He also works part time with IGo’s English for Life ministry. Guest teachers from conservative Anabaptist congregations in America and Canada accompany MTM in teaching pastoral conferences. MTM is always looking for guest teachers who are willing to be stretched outside of their comfort zone. If you feel God is calling you to join the MTM team on a conference as a guest teacher, please contact MTM! What are the credentials to serve as a guest teacher with MTM?